Payment gateway technology captures credit card and ACH data from customers and sends this information to payment processors for authorization. The sheer number of payment gateway options is enormous. Each solution has slightly different features, benefits and add-ons from which to choose. Against this backdrop, trying to find the right fit for your business can often seem overwhelming. 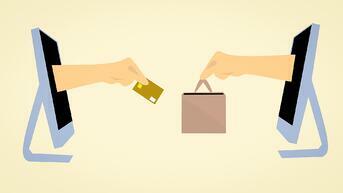 Here are five non-negotiable payment gateway features that every merchant should expect. One of the main points to consider when selecting a gateway is security. If your payment gateway doesn’t come with PCI-compliant data protection, your payment environment becomes an easy target for thieves and hackers. In fact, online payments are far more susceptible to hacking than their brick-and-mortar counterparts. That’s because e-commerce transactions are mostly done anonymously and remotely. This makes it much easier for thieves to exploit vulnerabilities in your payment environment. Thus, you should look at payment gateway solutions that come with advanced fraud protection. Otherwise, you expose yourself to potential breaches, lawsuits and penalties. With payment integration enabled, you don’t have to manually update any of your records. Every time you generate a new sale online, that transaction is automatically reflected in the tools you’re already using. Payment integration is both cheaper and more accurate than manual data entry. Many merchants view their payment gateway as only a virtual terminal that simply captures incoming transactions. As long as their systems work, they don’t bother to peek under the hood. When set up correctly, your payment gateway can offer detailed reporting. With this information at your fingertips, you can reconcile faster and make better-informed decisions about your business. This reporting is greatly amplified if you also enable payment integration. That way, all of your business tools work in unison — allowing you to develop a much richer understanding of how your business is performing. Most payment gateways come with at least some level of support, so if you run into any difficulties, you can call or email for assistance. Because your payment gateway must also work with the underlying processing, there are compelling reasons why you should keep everything under one roof. In other words, choose a processor that develops and maintains its own payment gateway. You will face fewer setup hassles. Interoperability is less of an issue. Updates are easier to manage. And if something goes wrong, you have to call only one help desk — not two. As mentioned before, there is no shortage of payment gateway options out there. And you really should do your homework before committing to any specific solution. Our payment gateway benefits from the latest in PCI-compliant data security. You can even enable additional security features, such as tokenization, hosted payment pages and fraud management tools. We provide seamless payment integration — whether you want standalone plugins or an open API that allows for customization. Our payment processing comes with detailed reporting that removes any guesswork. You can easily view all of your business’s metrics from a single, convenient dashboard. We offer world-class support for all of our solutions — including merchant accounts, payment processing and payment gateways that come standard with our core offerings. Our pricing is extremely competitive, with payment solutions for every budget imaginable. These rates are even more appealing once you factor in the unparalleled technology we provide.